The March Meeting will be this Friday (March 18, 2016) at the Presbyterian Homes Office Building (direction on the right side of this website). The theme for this month’s meeting is Vintage (pre 1960s) Pen Sets in their original boxes. 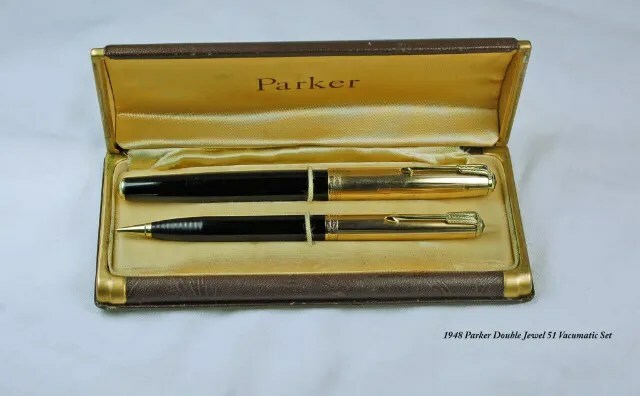 So, search for those Pen and Pencil (or I suppose Pen and Ballpoint, or Pen and whatever) sets that have a matching box and bring them in for show and tell. Also, don’t forget to bring recent finds and any projects you may be working on. We look forward to seeing everyone on Friday night! And don’t forget, Frank’s award winning newsletter will be available to all.